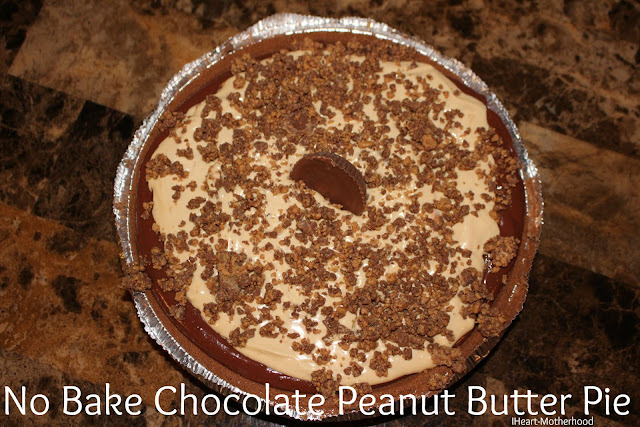 I love this easy No Bake Chocolate Peanut Butter Pie! It combines my two favorites together - chocolate and peanut butter! It's super sweet but it's a big hit every time I make it! Perfect for a dessert at home to enjoy with the family or take to your next bake sale or cook out! In a large bowl, prepare your chocolate pudding according to package directions (mix milk & pudding together and then refrigerate for a few minutes). Using a blender or food chopper, crush Reese's peanut butter cups. Scoop out the plain peanut butter into a large mixing bowl. Empty the entire container of cool whip into the peanut butter, hand-mix well. Scoop out all of the chocolate pudding into the pie crust, add the cool-whip/peanut butter topping and then sprinkle on the chopped peanut butter cups! Let it chill in the fridge for about 15 minutes before serving. Chocolate and peanut butter is my favorite combo. This looks like an easy to make dessert that my family would really enjoy. Thank you for sharing the recipe. This is a great recipe and I am glad that it is both low sugar and low fat. That looks super yummy. 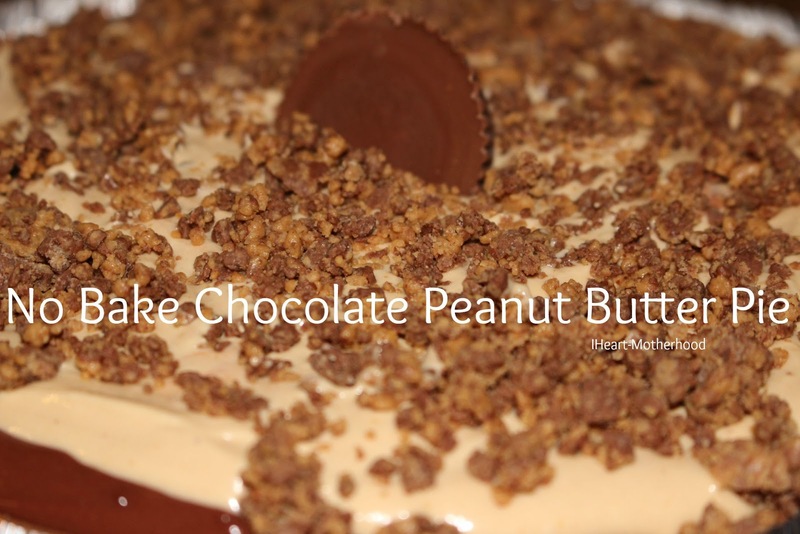 I like peanut butter and chocolate together, and this recipe makes it even better. Peanut Butter and chocolate is my favorite flavor combination. I love them together and this recipe looks tasty!